Lisa Shivers is a veteran of the financial industry with 12 years experience before joining Hillspring Financial. She has been the assistant to the CEO of a money management firm and the office manager for a financial services company. She has also been a registered sales assistant through Raymond James. Lisa hails from Seattle WA where she lived for 25 years. She moved to Arizona 8 years ago and loves to relax by the pool while reading a good book. Like all good executives, she knows the importance of short weekend get-a-ways to keep her sharp and ready for the everyday demands of her job. Most of all, she loves to spend time with her 2 boys and her dogs. 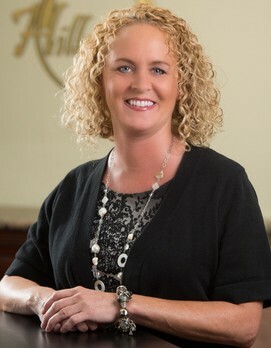 Lisa is very excited to be part of the Hillspring Financial family and looks forward to helping you with anything she can to make your relationship and experience with Hillspring Financial the very best it can be.